I’m sure many other wedding photographers in Newmarket will agree with me when I say, King Valley Golf Club is one of the top five local wedding venues to shoot at. I had the opportunity to work here again last weekend and ran into Christina from The Cocoa Cakery. Although I’ve photographed (and tasted!!!) her amazing wedding cakes, cupcakes and desserts over the past six years, this was our first formal face-to-face meeting. 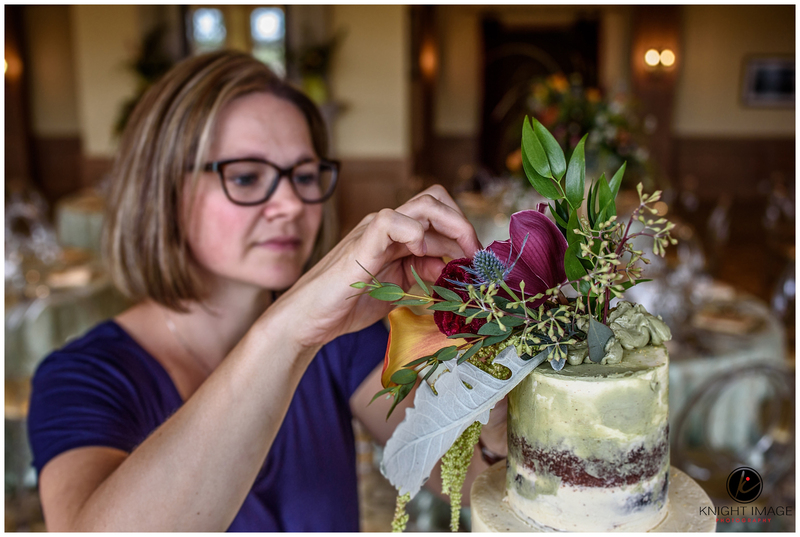 With our bride running a bit behind schedule, I had some extra time to capture Christina in action as she prepared Laura and Jesse’s stunning wedding cake. 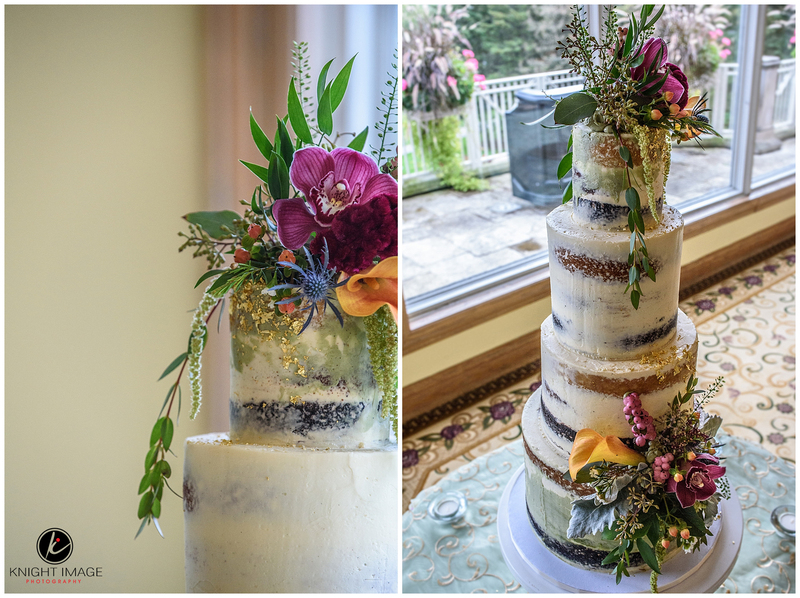 The florals, provided by Tammy from Flower Smart, completed the cake and complimented the entire decor of the room. Hello! I’m Ahmad, a wedding photographer in Newmarket Ontario. If you’re planning a wedding in Newmarket, Barrie, Aurora, Muskoka or abroad and like what you see on this website, I would love to hear from you. You can contact me by phone: 647-862-8510 or through my contact form. A collection of my recent wedding photography can be found in the wedding gallery. Knight Image Photography – Wedding Photographer Newmarket has a page on Facebook where clients and potential clients can view my most recent images and comment on my photography services. 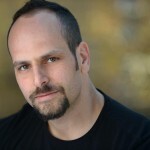 If you are on Facebook, please feel free to “like” by clicking here: Knight Image Photography Newmarket on Facebook. You can also keep up to date with my recent Tweets by following Knight Image Photography on Twitter.